Thousands of teens in Los Angeles are homeless, whether it is due to growing out of the foster care system, abuse or being kicked out of their homes due to sexual orientation. Regardless of the reason, the Los Angeles Youth Network (LAYN) happily gives teens of all backgrounds a safe space to live with a unique approach: tiny homes. According to Uproxx, senior director of Youth Development Kenneth Cook used to be homeless as a teen, and is determined to help teens have a better future. 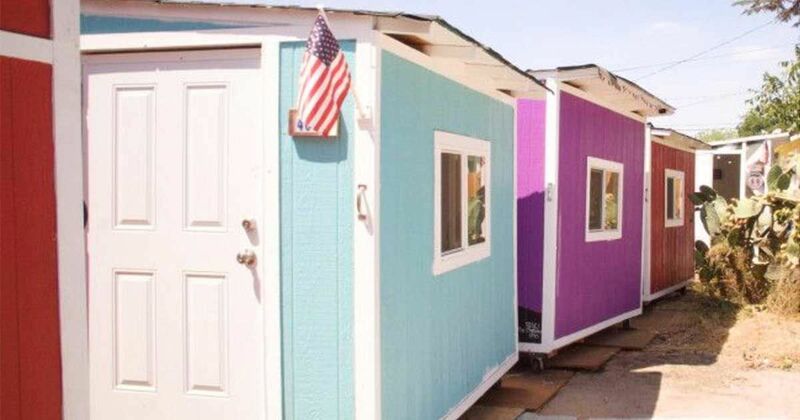 Alongside providing a transitional living program, educational enrichment, food and personal care items, Cook and LAYN provide many homeless teens with shelter courtesy of tiny homes. As an affordable method of housing the teens, the tiny homes provide them with a place to stay when there is nowhere else safe to go. Elvis Summers, the founder of My Tiny House Project L.A., is the designer of the homes. “The housing first model works....Give people a safe place to be of their own, and they’re going to be self-motivated to better their lives,” Summers told Uproxx. The houses are only six by eight feet and $1,200 to create. Each tiny home is built with portable toilets, solar-paneled rooftops, and wheels. Providing the homeless with all of the necessary components of food, water and shelter, according to Summers, is "just the right thing to do."